You wouldn’t set off on a long road trip without checking your car’s engine oil and the air pressure in all four tires. It’s a good idea to put the same maintenance instinct into practice before you put your home’s heating system to work for the cold season. 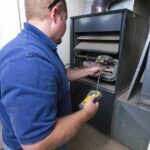 The systems that many of us rely on for heating our homes are extremely dependable, but like all mechanical equipment, they need attention from time to time. A certified professional should inspect your HVAC system at least once a year. Routine inspections will enable you to spot emerging problems before they develop into full-blown emergencies, and regular cleaning of key components will keep systems running efficiently and maintain indoor air quality. 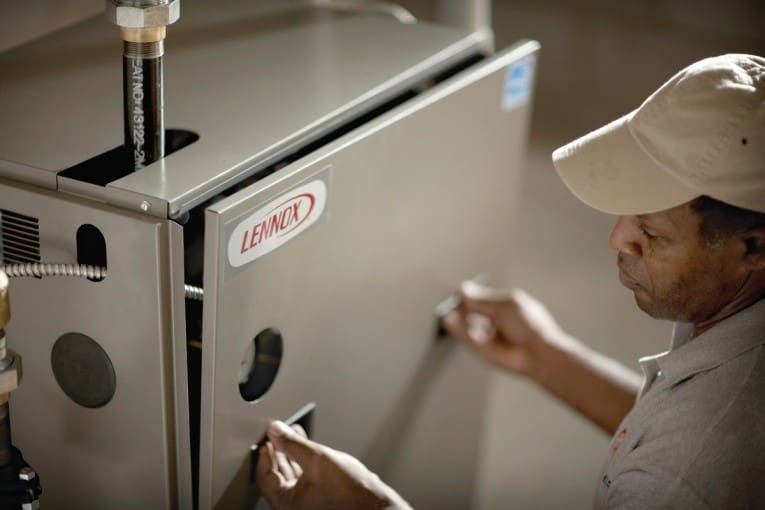 Depending on the specific type of system in a home (heat pumps, forced-air and hydronic systems are the most common), recommended maintenance procedures vary. However, for maximum performance, you should get at least two maintenance visits per year no matter what type of system you have. Seasonal maintenance is a necessity for keeping up your heating and cooling system, and outside of changing your air filter, it’s best done by a licensed contractor and backed by a warranty. Don’t attempt to make major repairs to your system unless you’re a trained professional or an experienced do-it-yourselfer—you could harm yourself or do further damage to your equipment. 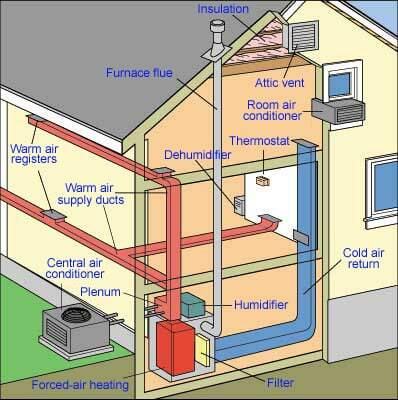 If you’re capable of doing your own repairs, refer to HomeTips’ Furnace Troubleshooting & Repairs article. The following will help you understand the steps a licensed contractor will take to maintain your system, starting with the thermostat and continuing through your delivery system (ducts) and to your outside unit, if applicable. No matter which type of system you need to maintain, it’s a good idea to start your maintenance checkup at the thermostat. The thermostat may not be adjusted properly, which means it needs to be recalibrated or replaced. The heat exchanger in the furnace is overheating, and a safety device is shutting it down. If the system seems to be short cycling, call a professional for further analysis. If the system doesn’t kick on when you turn up the thermostat, see How to Test a Thermostat. If the furnace or boiler burners ignite when you turn up the thermostat, check the quality of the flames for shape and color. The flames should be tight ovals and solid blue. If you see flickering and tinges of yellow, call a technician to adjust the fuel/air mix. Whether a forced-air heating system is powered by a gas, oil or electric furnace, it’s important to keep the airways clean for the sake of efficiency and the best possible indoor air quality. Check the filter(s) once a month and replace as necessary. Homes with pets or residents with asthma should check even more frequently. A rule of thumb is to check every month and change at least every three. Have ductwork checked at least once a year for open joints, dust buildup, mold and rust. Open joints should be resealed with duct tape. Corroded ducts will be repaired or replaced. Clean ductwork and registers as needed. Where there are no obvious problems, having ducts cleaned by a professional once every three years may be adequate. In dusty environments or those where occupants have pets or suffer from allergies, more frequent cleaning may prove beneficial. Clean dust and soot from the furnace combustion chamber. Your technician will check this chamber as part of their periodic checkup. He’ll ensure that electricity and gas to the unit is turned off, and after inspecting the chamber, he’ll clean it. Clean the blower. This is a procedure in which the HVAC technician will vacuum out the area where the blower is housed. Inspect the blower belt (if present). Many furnaces have direct-drive blowers, but if your technician encounters a drive belt as they clean, he will inspect it for proper tension and overall condition. 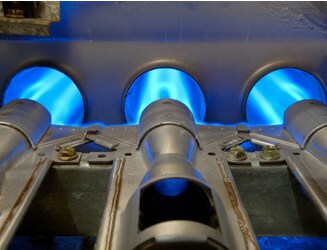 These procedures require turning off your gas supply before beginning work, and should only be conducted by a licensed and trained heating and cooling service professional. Have the oil filter changed. Once a year, buy a replacement oil filter that’s identical to the one in place. With the fuel supply turned off, the old filter can be unscrewed and the new one installed. Be sure the old filter is disposed of in a way that complies with the hazardous waste rules in your area. Get the oil nozzle replaced. The nozzle atomizes fuel oil before it ignites. Nozzles tend to get clogged with buildup from impurities in the fuel. When your technician suggests this replacement, don’t assume that you need to replace the existing nozzle with one just like it. It’s not uncommon that someone servicing the unit before you may have installed a nozzle with an incorrect flow rate and angle—that’s part of the reason to choose a contractor backed by a warranty and a reputation you can trust! 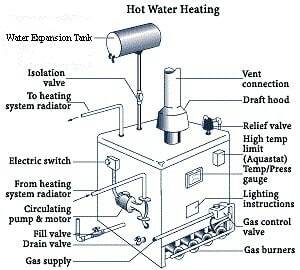 Hydronic (hot water) heating systems have a boiler rather than a furnace at their heart. No two hydronic systems are put together in quite the same way, and all rely on an assortment of manual and automatic valves to let water into and out of the system, and distribute it to radiators (baseboard heaters in modern systems). 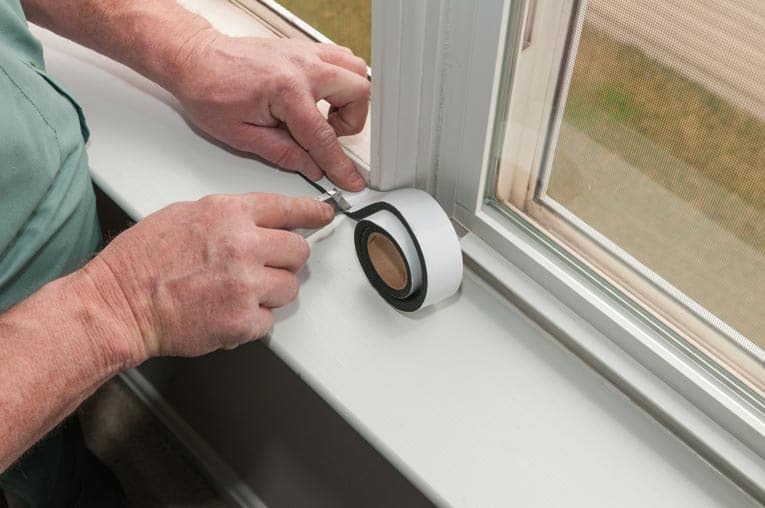 While some homeowners may be able to do some light maintenance themselves, many of the recommendations here involve checking to make sure the system is operating at a specified temperature and pressure. If it’s not, we recommend calling a trained technician to diagnose and repair any problems. Have water temperature and pressure checked. Once the system has been running for an hour or so, have the temperature and pressure gauge checked. The water temperature should be within the range of 180⁰F and 200⁰F. Pressure within the system should be between 12 PSI and 25 PSI—for a two-story house, 18 PSI is all that’s needed. If the temperature or pressure measurement falls outside these specified ranges, consult a technician. Have the circulating pump lubricated. If it has lubrication cups, a few drops of 3-in-1 oil will be squirted into them. Clean soot from the inside of the boiler’s combustion chamber. This periodic checkup is part of your technician’s regular maintenance and is similar to cleaning the chamber in a forced-air system, including cleaning with a wire brush and vacuuming. Dust radiator surfaces and straighten fins on baseboard heaters. All that’s needed is a vacuum. If fins are badly bent, a professional may use a fin comb to straighten them. Get air purged from the radiators. The bleeder valve on each baseboard run or radiator will be opened. The valve will be left open until water begins to trickle out, then it will be closed. Drain and flush the system. Most experts recommend having a professional do this once every five years at minimum. These tips are meant to provide background and insight for you. Use this background knowledge when discussing the needed work with trained professionals, and you’re sure to get quality work that meets the needs of your home’s heating system. 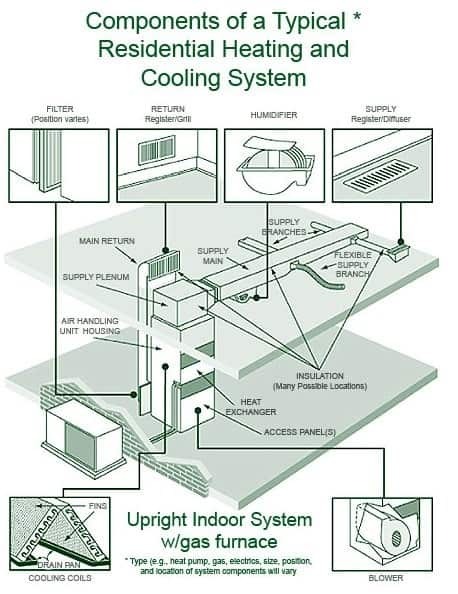 Michael Chotiner writes about maintenance and repair for heating and cooling systems for The Home Depot. Michael has many years of experience as a residential general contractor. 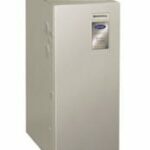 For HVAC solutions available at Home Depot, you can visit https://www.homedepot.com/services/hvac-installation/.